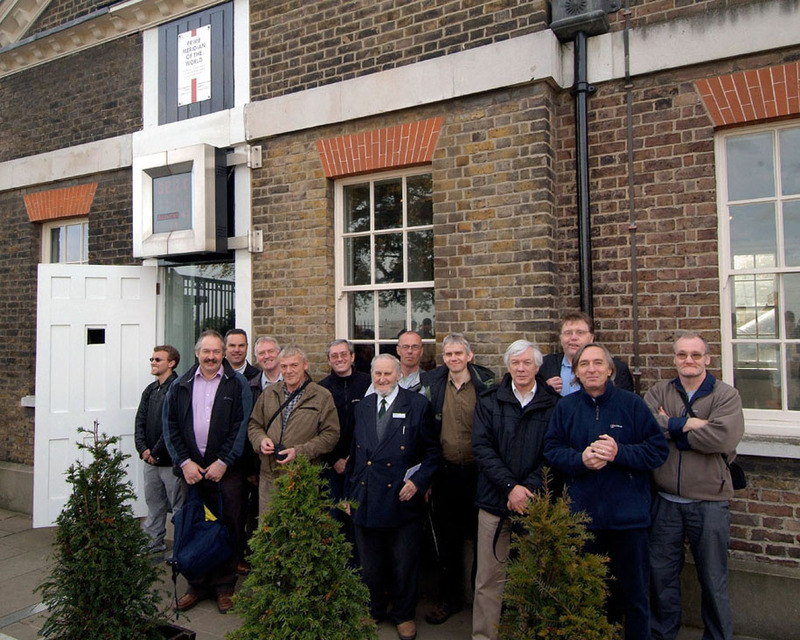 Twelve DDAS members including myself made our way to the Royal Observatory in Greenwich Park, London on the 25th October 2008 for a special guided tour of this most historic site. We were shown around by Gilbert Satterthwaite who is Chairman of the Society for the History of Astronomy (SHA) and President of the Orpington Astronomical Society. 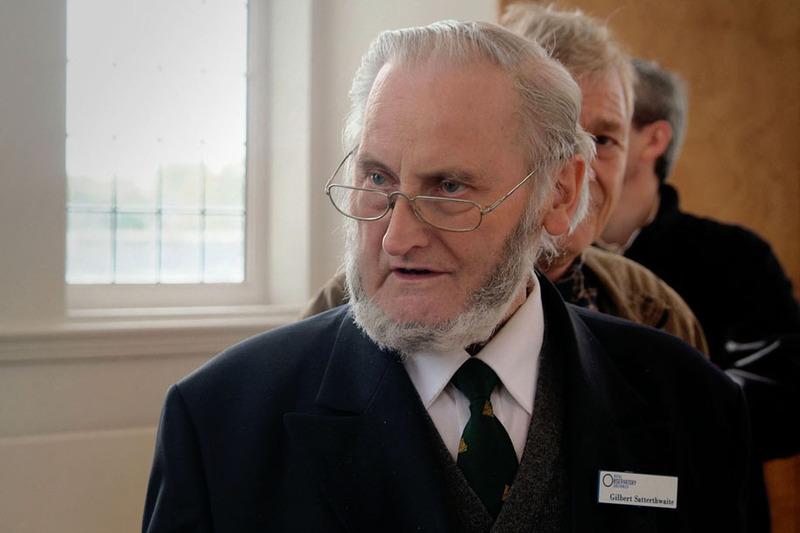 In fact it was DDAS member Arthur Tristram, also a member of the SHA, who asked Gilbert if he would be able to give us a tour. Gilbert joined the staff of the Royal Observatory on leaving school in 1952 and used some of its most famous instruments including the Airy Transit Circle. 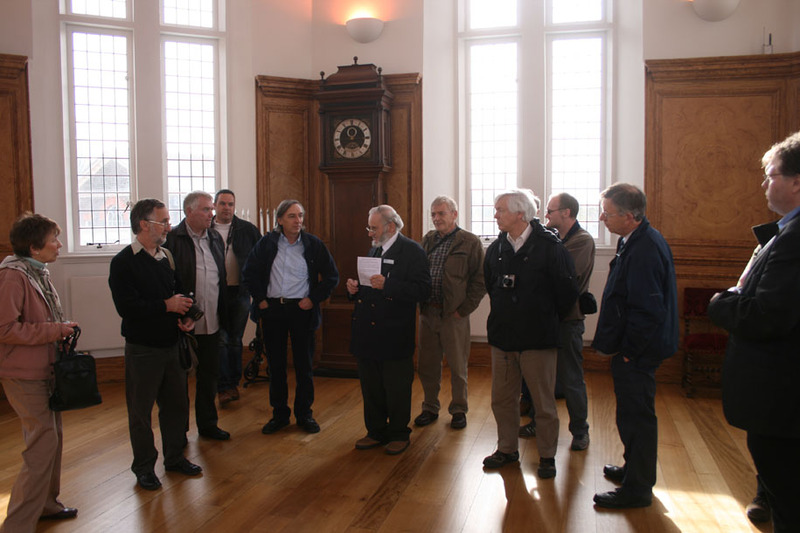 It is no exaggeration to say that Gilbert was passionate about the Royal Observatory and was the ideal person to show us around. After meeting Gilbert at the Observatory gates he gave us an introduction to the site and its history. He then showed us around Flamsteed House, built for England's first Astronomer Royal, the Reverend John Flamsteed (1646-1719), as both living quarters and observatory. 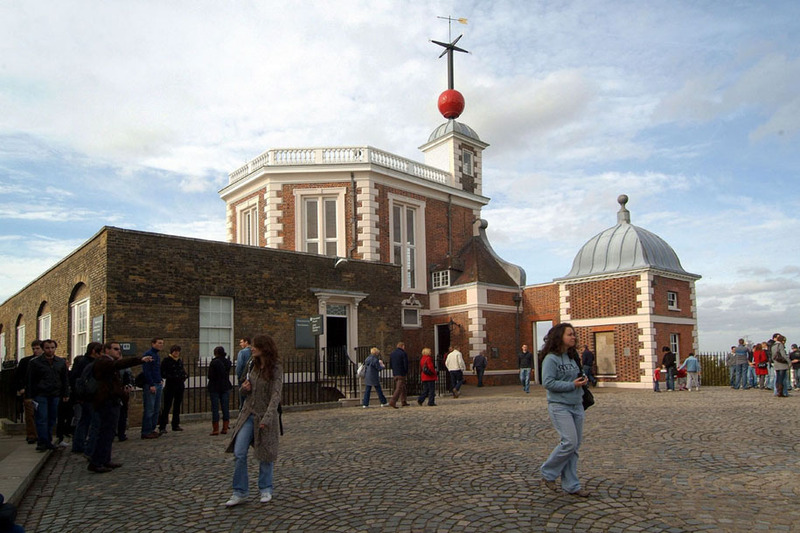 Charles II appointed John Flamsteed as his first Astronomer Royal in March 1675 and the Royal Observatory was built to improve navigation at sea and "find the so-much desired longitude of places". Flamsteed has of course a special meaning for the DDAS as he was born in Derbyshire and attended Derby School. The first floor of Flamsteed House contains Christopher Wren's famous Octagon Room. This is a beautiful piece of 17th century architecture but it is hard to imagine it functioning as a practical observatory, even poking the very long focal length refractors of the time out of the windows as it was designed to do. As Gilbert explained, Flamsteed never really used the Octagon Room as an observatory and conducted his observations from more dedicated facilities he went on to construct nearby. After viewing the Octagon Room we entered the Time Galleries to view the remarkable clocks constructed by John Harrison in the 18th century. These were designed to be the most accurate chronometers of their day and were constructed in order to provide an accurate means of obtaining longitude at sea. Gilbert then introduced us to the range of instruments used by a succession of Astromers Royal that are housed in the Meridian Building. These included among others the Iron Quadrant installed by Edmund Halley, who succeeded Flamsteed as Astronomer Royal and the brass quadrant installed by the third Astronomer Royal, James Bradley. Gilbert then gave us a detailed look at Airy's Transit Circle, installed in 1851 by the seventh Astronomer Royal George Biddell Airy. Gilbert himself spent many hours using this instrument, and made the very last official observation through it in 1954. Airy's Transit Circle sits precisely on the Greenwich Meridian, at 0 degrees longitude. It comprises an 8-inch f/17 refractor mounted very precisely on a system of counterweights. The transit circle was used to make two measurements - the time at which a star crosses the meridian, as it travels from East to West across the sky, and the angle of the star above the horizon. From these measurements an astronomer could determine the precise position of the star in the sky in Right Ascension and Declination. Conversely, if the star's coordinates were already known, then the transit of a star across the meridian could be used to set the clocks at the observatory. The timings were made by the astronomer watching the star move across a series of vertical wires. Each time the star crossed a wire, the astronomer at the telescope pressed a button to send a signal to a drum chronograph which recorded the precise times at which the star crossed the wires. The angle of the telescope was recorded with great precision using an array of microscopes attached to the side of the pier, with a precision of 0.01 seconds of arc. After viewing Airy's Transit Circle we assembled outside for a group photograph by the Greenwich Meridian before retiring for lunch. 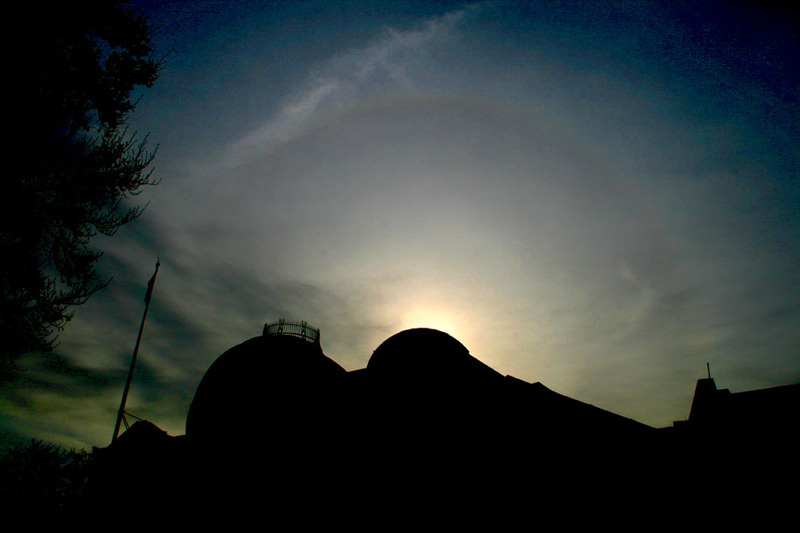 In the afternoon Gilbert took us into the dome of the 28-inch photo-visual refractor. 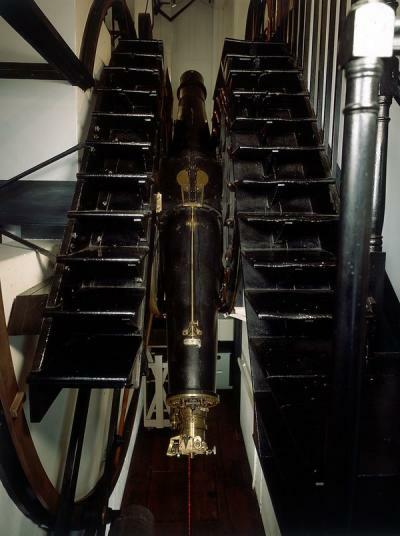 This is the largest refractor in the UK and was installed at Greenwich in 1885 by the Astronomer Royal William Christie, to replace the 12.75 inch Merz refractor that had originally occupied the dome. 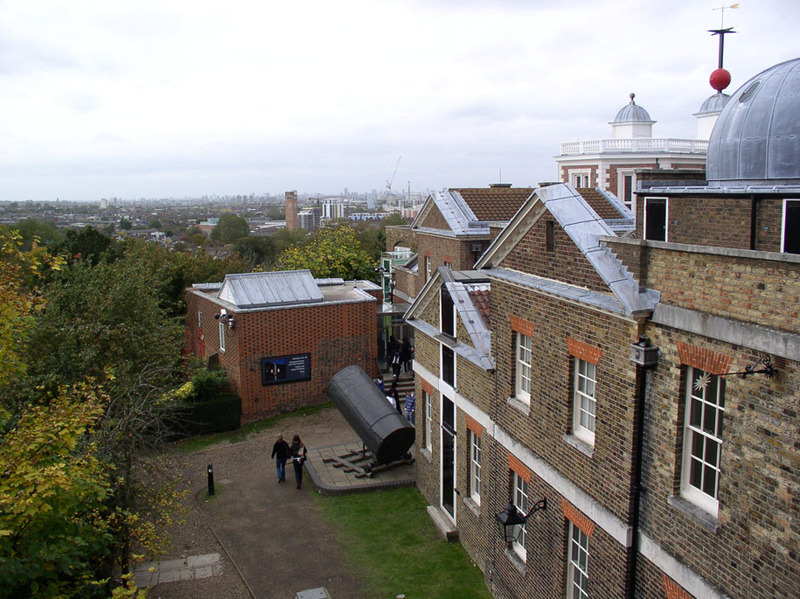 The telescope was moved to Herstmonceaux in 1957 when as an institution the Royal Greenwich Observatory was re-located - but it was returned to Greenwich in 1971. 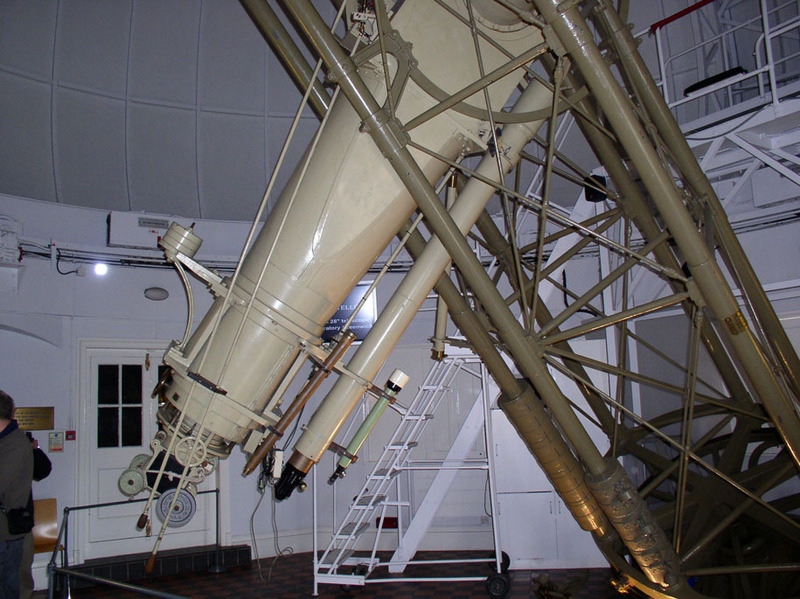 This lovely refractor was primarily used for research into double star systems until its retirement in 1960, and is now used for educational programmes. The 28-inch refractor was to be our final item on Gilbert's guided tour and after offering him our thanks we split into smaller groups to take in some of the other exhibits and attractions at the Royal Observatory, as well as the National Maritime Museum to which the Royal Observatory now belongs. Some of us had a walk around the new interactive Weller Astronomy Galleries, while others attended a show at the Peter Harrison Planetarium. 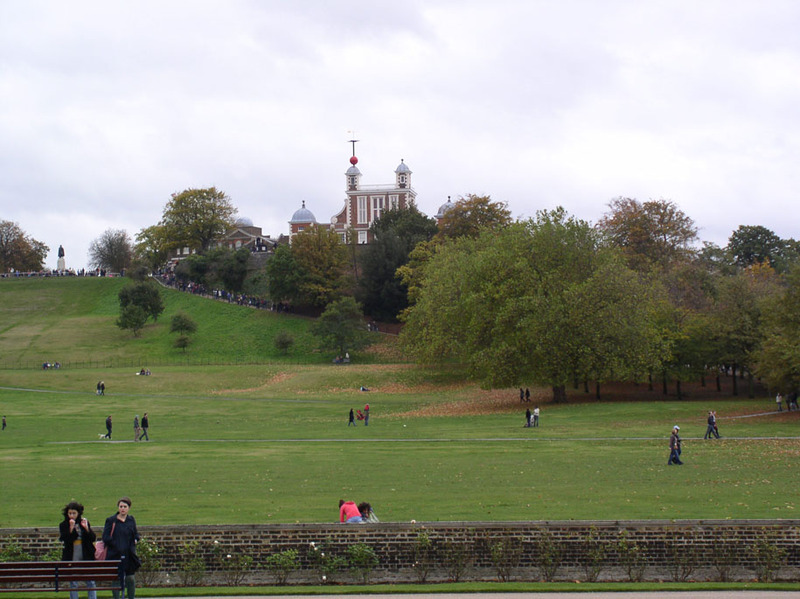 There was also plenty of time to take in the magnificent view of London afforded from the hill upon which the Royal Observatory stands. All in all it was certainly a day to remember and well worth the visit. 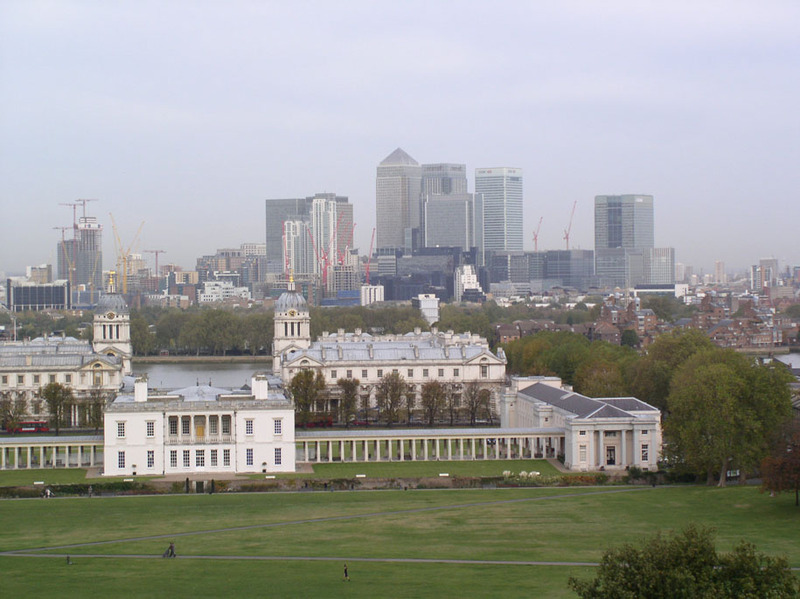 We are indebted to Gilbert Satterthwaite for giving us the tour, and letting us get to see the Royal Observatory in Greenwich through the experiences of someone who actually worked there. Our thanks also to Arthur Tristram for approaching Gilbert with the idea of having the tour.